The video of the incident has gone viral. Seconds after Miss Congo, Dorcas Kasinde was crowned as the winner of Miss Africa 2018 pageant, her hair caught on fire from celebratory fireworks on the Miss Africa stage. 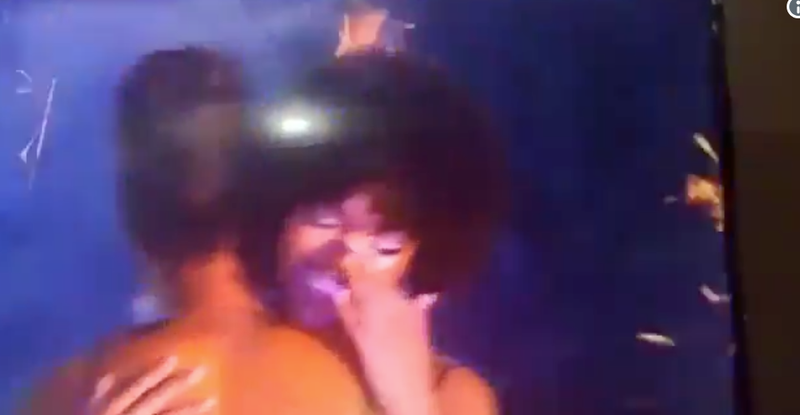 In the short video, the Congolese representative is seen with another finalist awaiting their results, when she is announced as the winner, she hugs her competitor in celebration as fireworks start off with showers of sparks coming down onto the stage. This is when Kasinde's hair caught fire. Fortunately, a man standing behind Kasinde jumps to help her put out the flames. She later thanked her fans for their support and said on Instagram that she was happy to be the new Miss Africa 2018.